Our children unfortunately do become what they are taught and that is not always a good thing. This is why it is so important to pay attention to what your children are being FED and who is behind it. During a recent press conference from Turkey, V-President Biden spoke these words insisting the US had no involvement or information leading to the attempted coup in Turkey August 2016. During the news conference in Ankara with Turkey's Prime Minister, Vice President Joe Biden said the extradition request for Muslim cleric Fethullah Gulen must go through legal channels in the US. Obama has previously refused to send Gulen back to Turkey. Given the deep involvement and support of the CIA and the US State Department in regard to Gulen, I believe Biden is lying. In December 2013 there was a split between Turkey’s Sunni Muslim Brotherhood Islamist leader, Premier Erdogan and Fethullah Gülen, after Erdogan banned non-state run preparatory schools. Both have the same goal of restoring the Ottoman Empire. What Are Gulen Charter Schools? It has become increasingly apparent that the United States is not only confronting a violent effort by Islamic supremacists to impose the program they call shariah on the rest of the world, Muslim and non-Muslim, alike. Dangerous as jihadist terrorism is, America – and the rest of the Free World, for that matter – also face what amounts to a pre-violent assault. The Muslim Brotherhood calls this stealthy, seditious effort to “destroy us from within” a “civilization jihad.” One of its prime practitioners in this country is the Gulen Movement, a cult/business empire led by a reclusive Turkish expatriate, Fethullah Gulen, who operates from within an armed camp in the Poconos. A Gulen charter school is a publicly-funded charter school that was founded and is run by individuals who are secretly followers of a Turkish imam named Fethullah Gulen. 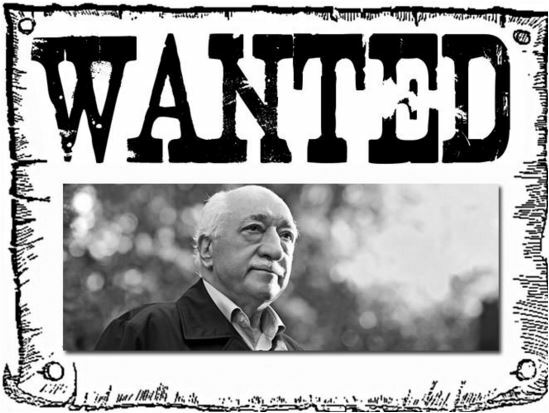 Gulen's followers are called Gulenists, and collectively they form a worldwide covert network called the Gulen Movement. The key defining feature of Gulen charter schools is that control of the schools' policies and (most importantly) finances lies entirely in the hands of Gulenists. This allows the Gulenists to use the schools in ways that further the Gulen Movement's goals. The infiltration of the Gulen Movement into our publicly-funded education system has been made possible by a perfect storm of very lax charter school regulation; the current political climate favoring expansion of charter schools; the Gulenists' unparalleled skills at marketing, deception, and intimidation; the presence of influential sympathizers in our government and in academia; and an extreme reluctance on the part of many journalists, academicians and government officials to involve themselves in this issue for fear they might be labeled as Islamophobic or xenophobic. Republic of Turkey Retains Amsterdam & Partners LLP on Expanding Gulen Investigation into Africa and U.S. Charter Schools - WASHINGTON, Oct. 26, 2015 /PRNewswire/ -- The Republic of Turkey has retained international law firm Amsterdam & Partners LLP to conduct a global investigation into the activities of the organization led by the Turkish cleric Fethullah Gulen. "We have been retained by the Republic to expose allegedly unlawful conduct by the Gulen network worldwide," said Robert Amsterdam, founding partner of Amsterdam & Partners LLP, during a press conference held today at the National Press Club in Washington DC. "The activities of the Gulen network, including its penetration of the Turkish judiciary and police, as well as its political lobbying abroad, should concern everyone who cares about the future of democracy in Turkey." The Gulen network, which operates more than 100 charter schools in the U.S., has become the subject of federal and local law enforcement and regulatory investigation in the United States, said Amsterdam. According to separate cases filed against Gulen affiliated schools, the group has allegedly engaged in systemic abuse of the American visa system, Amsterdam says. Globally, the Gulen network operates thousands of schools. Amsterdam emphasized the need for transparency for the network's operations around the world, including its agreement with the African Union to open 1,000 new schools in the region. "We cannot entrust an entire generation of children to a group that claims to uphold the 'truth of light,' yet is itself covered in darkness," said Amsterdam. Amsterdam & Partners LLP, with offices in London and Washington DC, is an international law firm specializing in political advocacy and cross-border disputes. The firm was awarded the Global Pro Bono Dispute of the Year Award by American Lawyer Magazine in 2013. More information can be found atwww.amsterdamandpartners.com and www.robertamsterdam.com. These allegations have caused the U.S. government (FBI) to investigate for immigration fraud as well as misuse of taxpayer money. It has also caused many to wonder about the actual intent of the Gülen school. “After being food deprived the Gülenist hosts brought us to a building called the Journalist and Writer’s “light house” which was a compound. This is where we got the cult spiel for 2 hours. The speaker told us, ‘Fethullah Gülen, he is the imam that sheds light on the dark waters of our time,'” said the teacher. Everything You Always Wanted To Know but Didn't Know the Questions to Ask! Are There Charter School Management Companies: Most certainly yes.